CAPTURING CANDID MOMENTS WITH PHOTOS AND BOTTLING MY THOUGHTS IN A BLOG. 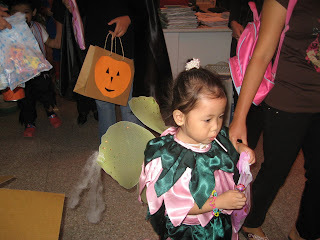 I want to be a kid again so that I can have the excuse to wear Halloween costumes and get loot bags with goodies.hehehe. 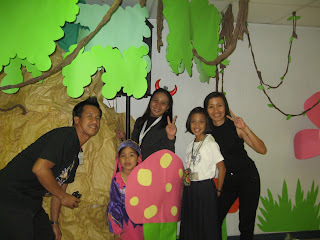 Last October 30, 2008, our office partied with kids for the Halloween "Trick or Treat" party. There were lots of treats and tricks(I mean, magic tricks) for kids. 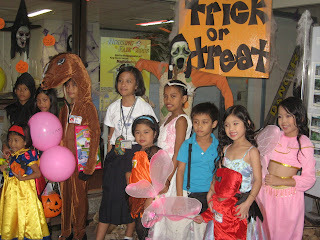 The kids were adorable and they had fun while receiving treats. 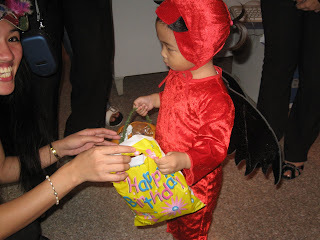 They also feast on party foods like ice cream, chocolate fondue, hotdogs and popcorn.YUM..YUM.. Too bad the adults will have to purchase party foods if they are hungry.huhuhu. 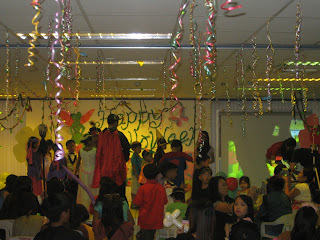 It is one heck of a party because kids are all over the office after their party. Good thing, few clients only visited the office that aftternoon. Ang boring ng Halloween ko dito, sa harap lang ng computer. cute naman ng mga bata. hehe.